Metal enclosed MV capacitors banks find applications across multiple applications such as hydro power, thermal power, wind power, nuclear power, electrical substations, chemical factories, cement factories, iron & steel mills etc. 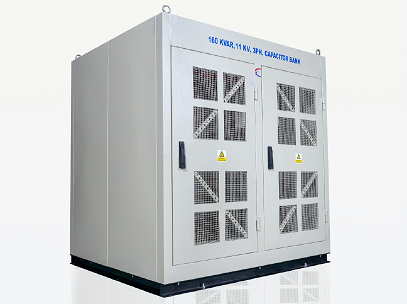 ‘ Energi ‘ Metal-enclosed medium voltage capacitor systems and harmonic filters are designed for indoor and outdoor applications in commercial, industrial, and utility power systems requiring power factor correction, motor start support, harmonic filtering, as per IEC compliance, can increase systems capacity. 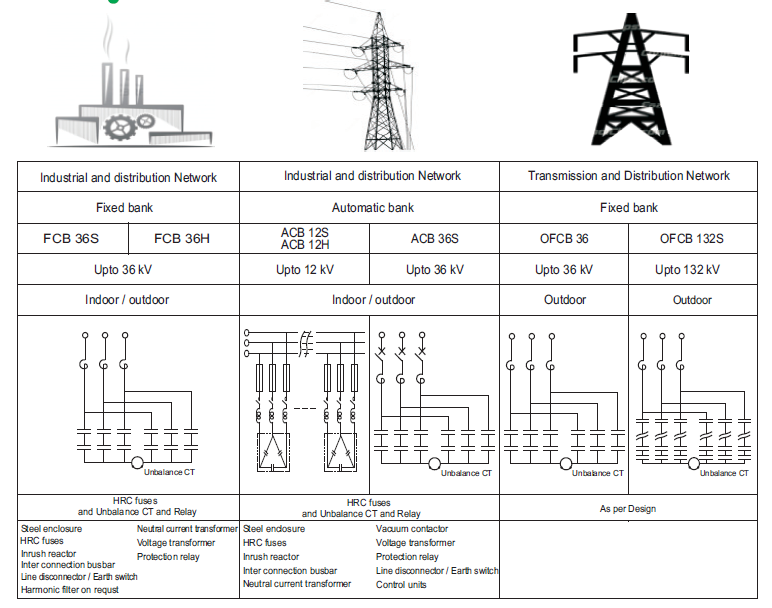 A “ capacitor bank “ generally consists of several single-phase or three-phase capacitor units assembled and interconnected to produce very powerful system. Qc/Sn < 15% the reactive power of the capacitor banks is constant and they are started up or shut down when a predetermined KVAr value is reached. It is an “ on/off ” type of operation. Qc/Sn > 15% the customer specifies automatic startup or shutdown for the capacitor bank (controlled by relay). The reactive power of the capacitor bank is split into “ steps ” with the possibility of starting or stopping more or fewer steps. The reactive power corresponds to the change in load requirements. 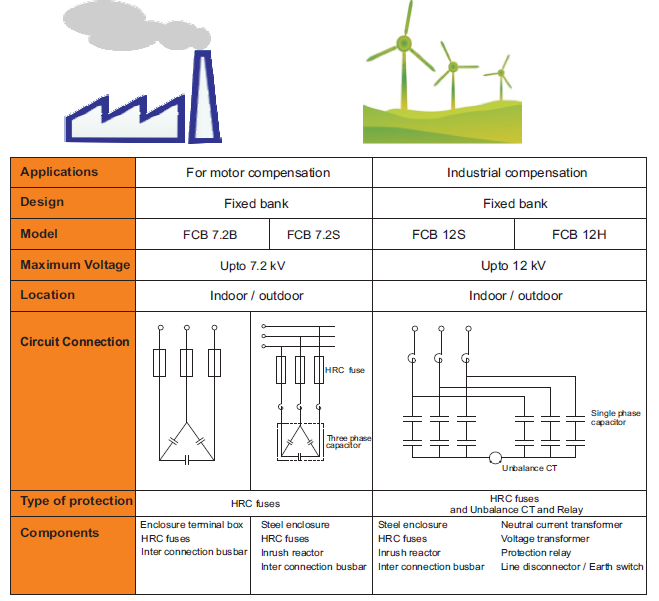 Harmonics are an important aspect when considering power factor correction. The range includes a number of options to overcome these harmonics. Equipment containing electronics that control other apparatus. Eg. variable speed drives, soft starters, static compensators, rectifiers, etc. Harmonics distort the sine wave (50 Hz or 60 Hz) sign which becomes apparent when a distorted sine wave mathematically analysed.